Mathematician turned pastry chef Ramona Thomas created My Chocolate Soul to share chocolates made from simple all-natural ingredients with the world. Black Enterprise contributor Brandon Andrews sat down with Thomas in Chicago. Brandon Andrews: Chocolate. So many people love chocolate, but do not know what’s in it. What drove you to start the company? 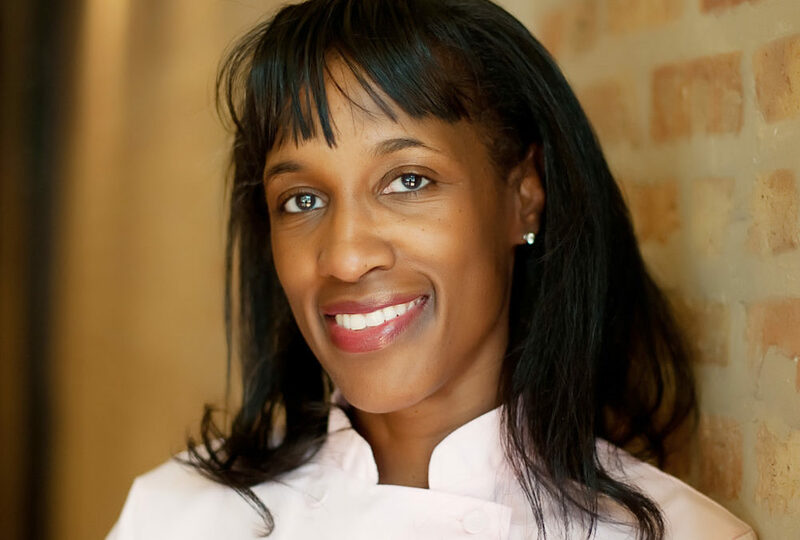 Ramona Thomas: The initial idea for the company started with a French pastries course that I really took to learn how to make croissants (reminiscent of a trip to Paris). During and after the course, I couldn’t stop thinking about how much I loved being in a commercial kitchen and how special pastry chefs are in that they create wonderful desserts for people like me who love sweets. I had baked from scratch for fun for about 20 years, mostly because of my frustration with a lot of candy and desserts in the marketplace that contain artificial ingredients, preservatives, coloring, and other stuff I could not pronounce. I set out to create a company that specializes in amazing, all-natural sweets with ingredients that people would know and feel good about eating and giving to their kids or grandparents. I still take a continuing education course every year to pick up new skills, ideas, or techniques from master chefs around the world. How do you develop the recipes? Does your background in mathematics help with the formulations? 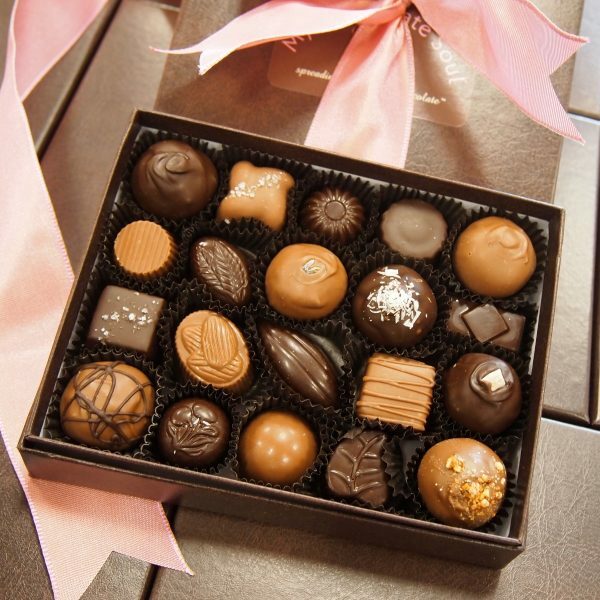 I make a variety of traditional and contemporary chocolates from truffles and bonbons, to turtles and candy bars, so the recipes come from a variety of places. There is a balance between what I like and what I think a lot of people will enjoy, especially for our nontraditional flavors. Sometimes the challenge is creating a recipe for a traditional item with only all-natural ingredients, like our turtles. 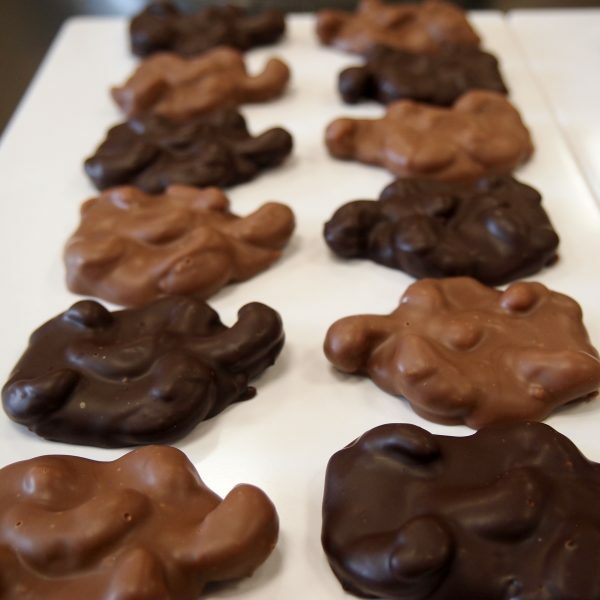 It’s hard to find turtles that do not have corn syrup in the caramel. Some recipes come from ideas I get while taking a class or doing normal everyday things, while others come from experimenting—just testing various combinations of ingredients to see what stands out, which is how I created our Almond Buttercrunch. I think I made 21 variations with seven different nuts, three different chocolates and two to three toffee recipes, but I kept coming back to eat that one and we sold out the first time we featured it at a market (and it was a finalist for a 2018 Good Food Award). Yes, having a background in math helps, particularly in thinking about the proportion of certain ingredients in a recipe, like cream and butter, which will vary depending on what kinds of chocolate you use. Math also helps in scaling recipes for quantity and calculating costs. What challenges have you overcome in building the business? More than I could have ever imagined, especially over the past four years. The most incensing challenge was a legal issue. Another huge challenge was that the contractor who did the buildout of our production facility/retail store overpromised and underdelivered. What he said would be a six-week project turned into five months even with daily check-ins and monitoring. I missed most of that holiday season in our new facility, which is a very busy time in the chocolate industry. Another big challenge was that I purchased a piece of confectionery equipment that never worked. After eight months of fixes that never worked of other substitutes they tried to sell me, I got the owner to agree to take the equipment back and give me a full refund, which took another two months to get. How have you scaled the business from your own kitchen to selling online? What advice do you have for other entrepreneurs looking to scale their businesses? It was the reverse. I worked out of a shared commercial kitchen for the first six years and had the online store for over two years before I opened my own facility. E-commerce had always been part of my business plan because of my goal to be a national chocolate company, but it took a couple of years to find the right platform. Having the online store made it easier for people to order and have items sent directly to their door because I didn’t have a physical store they could come to. The online store also gave the business more credibility and legitimacy, which is important. I highly recommend selling online, but it’s not a gimme. Scaling a business is not the same as starting one. It’s harder—at least it is for me—and the momentum is different. My advice for other entrepreneurs looking to scale is to have multiple sales channels. Give people more than one way to buy from you. Even with the online and physical stores, I still have clients who prefer to email their orders, place orders over the phone, and a few customers who’ve been with me from Day 1, who text me their orders. I have a very strong service orientation, so my second piece of advice is related: whatever you did to get people to (1) buy from you, (2) share positive comments with you or someone else, and (3) come back or refer others to you, keep doing that! For me, it’s making amazing chocolate that clients rave about and making sure clients feel like they are appreciated and treated very well. I’ve had people tell me that I should use different ingredients, cheaper chocolate, or take other shortcuts and I cannot. Other companies already do that, which is why I started My Chocolate Soul in the first place. My customers know what they’re going to get every single time they buy from me—consistency in quality is essential for growth and sustainability. You pitched at our Chicago Shark Tank casting call. What does the opportunity to appear on Season 10 of Shark Tank mean to you? Everything! Appearing on Shark Tank would be a huge opportunity for me to pitch My Chocolate Soul in front of entrepreneurial giants. Securing an investment through Shark Tank would give me the intellectual, financial, and social capital to grow the business into the national, multi-million-dollar company I envisioned when I wrote my first business plan, but in a shorter time frame. It’s literally the difference between a highly accelerated growth, which I’d really love, versus my current grassroots, bootstrapping growth efforts. How do you plan to grow My Chocolate Soul in 2018? In addition to using my existing networks (my MBE certification, other organizations/programs I belong to, and my personal/professional contacts), I am focusing on direct sales strategies with businesses and organizations in Chicago, particularly around gifting, events, and hospitality. I am excited to expand my custom chocolate marketing and promotional services this year and have identified two organizations that will give me more exposure and opportunities in that area. I feel like I spent the last year pulling myself out of retail quicksand with the store so on the retail side, I am focusing on taking our marketing to the next level. That includes more articles/media coverage and, more importantly, consistent email and social media marketing and advertising. I recently launched a new rewards and referral program for customers. My Chocolate Soul clients are truly THE BEST marketers and advertisers EVER (for real)—so I am creating more opportunities for others to hear about customers’ experiences in their own words. Even in the era of digital marketing, word-of-mouth is still the best advertising as many of my new customers are gift recipients or referrals of existing clients.